(Bloomberg) -- Toyota Motor Corp.'s investigation of accidents involving unintended acceleration where motorists said they pressed on the brake pedal show that “virtually all” involved drivers who pushed the accelerator instead, a company spokesman said. Toyota is looking into causes of unintended acceleration in its cars and trucks and has recalled more than 8 million vehicles worldwide in the past year for defects such as pedals that stuck or snagged on floor mats. U.S. safety regulators are also probing the causes and haven't released their findings. The company has reviewed about 2,000 reports of unintended acceleration since March, including analyses of information from event-data recorders when the incidents involved crashes, said Mike Michels, a Toyota spokesman. The company has yet to find evidence of electronic malfunctions, he said. Auto-safety advocates including Joan Claybrook, a former administrator of the National Highway Traffic Safety Administration and president of the advocacy group Public Citizen, have questioned driver error as a cause. They have said automakers and regulators should explore more seriously possibilities such as the failure of electronic controls. The Wall Street Journal reported Tuesday that NHTSA's analysis of Toyota data recorders found cases in which throttles were open and brakes hadn't been deployed. NHTSA spokeswomen declined to comment on that report. The auto-safety agency said in May that Toyota vehicles involved in unintended-acceleration crashes may be linked to 89 deaths in 71 crashes since 2000. The agency is working with a National Academy of Sciences panel and NASA, the U.S. space agency, to investigate reports of unintended acceleration and whether there may be electronics-related causes in vehicles including those made by Toyota. NHTSA previously investigated reports of unintended acceleration in Audi 5000 sedans and in a 1989 report concluded that human error was often the cause. In the two decades since that report, more vehicles have been equipped with brake-override technology, designed to stop a car if the brakes and accelerator are applied simultaneously. Toyota has said it will install brake-override software in all new vehicles by model year 2011. Toyota is facing more than 325 lawsuits in state and federal courts related to unintended acceleration, which has also been probed by U.S. lawmakers. During a media briefing last week, company engineers showed Toyota's main engineering facilities in Toyota City and Higashi-Fuji, Japan. Toyota demonstrated tests being run aimed at finding any potential cause of sudden acceleration arising from the electronic throttle control system and other components. Tests include bombarding vehicles with electromagnetic interference at more than twice the level that would occur in real-world conditions, line-by-line evaluation of system software and testing of vehicles in laboratories that replicate hurricane-level rain and excessive heat and cold. 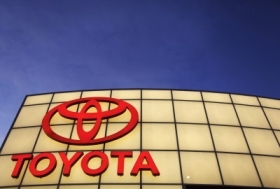 Toyota has yet to find further defects linked to unintended acceleration beyond problems with floor mats and sticky accelerator components, Dino Triantafyllos, Toyota's U.S. vice president for vehicle quality, told reporters last week in Toyota City.